SENCER-ISE (Science Education for New Civic Engagements and Responsibilities-Informal Science Education) is a National Science Foundation and Noyce Foundation funded initiative to support partnerships between informal science and higher education institutions. SENCER-ISE currently includes ten cross-sector partnerships offering a range of civic engagement activities for K-12, undergraduate and graduate students. One goal of SENCER-ISE is to gain a better understanding of how such partnerships can provide strategies to improve STEM learning. Another one is to help students and the public appreciate the value of informal science education institutions as credible, accessible sources of high quality life-long, free-choice learning on matters of science, public policy, and both personal and societal well-being. 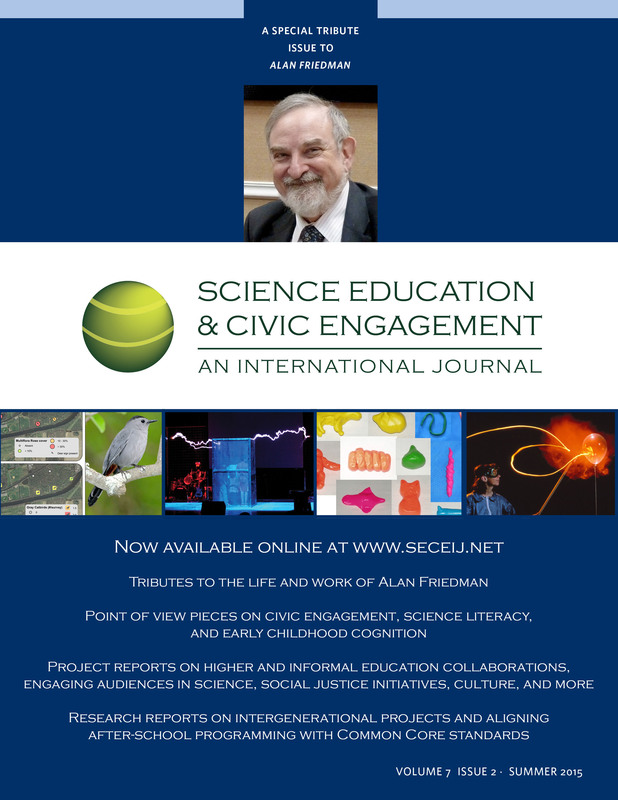 A special tribute issue of Science Education and Civic Engagement: an International Journal was published Summer 2015 in honor of Alan’s life and work. The issue includes tributes to Alan, point of view pieces on civic engagement, science literacy, and early childhood cognition, project reports on higher and informal science education collaborations, and research reports on intergenerational projects and aligning after-school programing with Common Core Standards.